Duane holds a BS in Business Administration from Auburn University, a MS in Public Administration from Troy State University and a MS in Financial Services from The American College of Financial Services. 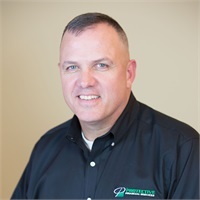 Duane joined the Protective Financial Services team in 2007 following twenty three years of service in the United States Army. He holds Series 6, 63 and 65 licenses and is also life and health insurance licensed. Duane is a registered representative and investment advisor representative with ProEquities, Inc. He develops comprehensive financial plans to assist clients in meeting their financial goals regardless of their stage of life. Once the relationship is established, he nurtures that relationship through regularly scheduled systematic meetings. As significant life events occur Duane coaches clients and adjusts their plans to meet the challenges of these life changes. Duane has served on the boards of his former church and a local non-profit. He has been married to his wife Jamie since 1988. Duane and Jamie attend Crossroads Baptist Church in Eatonton, GA. They have 3 sons, a daughter and a daughter-in-law.